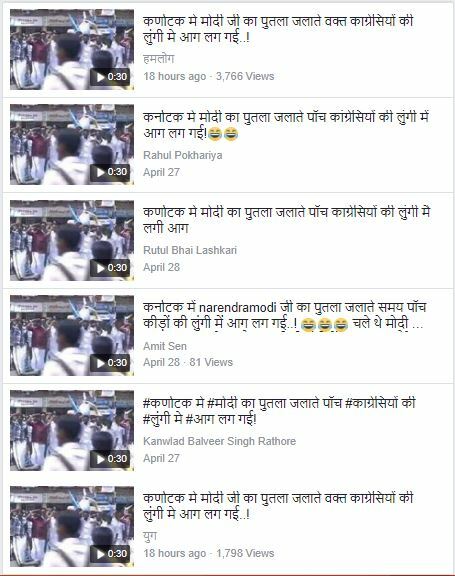 No, this is not a video of Karnataka Congress workers burning an effigy of PM Modi. 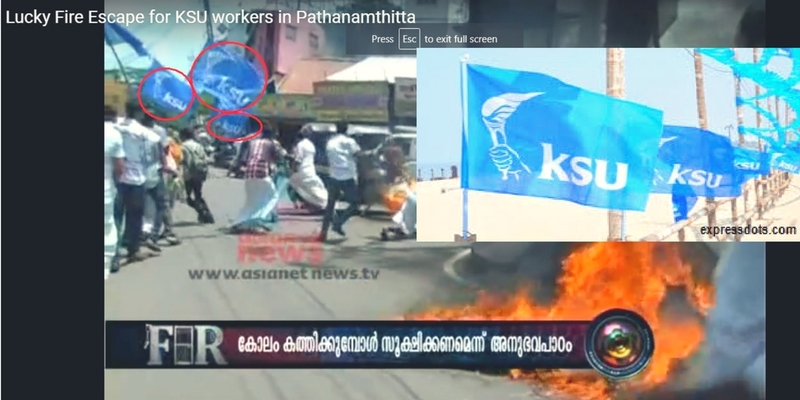 FACT: The video dates back to July 2012 and shows KSU (Kerala Students Union) activists getting their mundu(s) burnt while setting aflame an effigy of Mahatma Gandhi University’s Vice Chancellor. 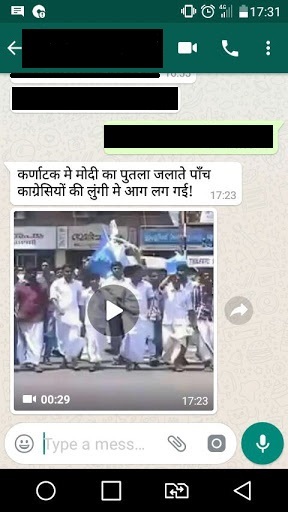 A 2012 video has gone viral across social media platforms claiming that five Congress activists in Karnataka got their lungis burnt while setting an effigy of Prime Minister Modi on fire. The video shows a group of men apparently engaged in a protest march which culminates in the awful plight. While one beats and thumps the effigy made with hay to the street, another can be seen dousing it with what appears to be petrol. 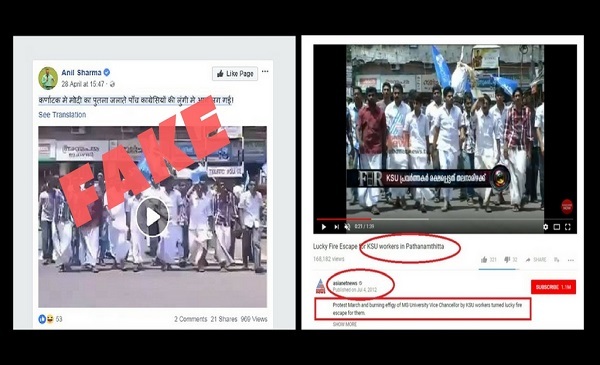 However, a fact-check revealed that while the video is true; the message with which it is being spread on social media is false. The video has gone viral on WhatsApp, Facebook, Twitter and YouTube. The incident dates back to July 2012 when a group of KSU activists staged a protest in Kerala’s Pathanamthitta district against the then Vice Chancellor (VC) of Mahatma Gandhi University Rajan Gurukkal, alleging corruption. Kerala Students Union is a branch of the National Students Union of India, the student wing of the Congress. The signboards of shops seen in the video are written in Malayalam. The video also shows protesters holding blue flags with KSU written on it. While the video did not make national news, local news outlets reported on the incident. Below is Asianet News’ video of the incident uploaded to YouTube on July 4, 2012. In the past, similar incidents have been reported from elsewhere in India. A few AIDMK workers’ lungis caught fire in December 2015 while attempting to set an effigy of DMDK’s chief on fire in Chennai, the Indian Express reported. In yet another instance reported from Shimla, three Congress workers sustained serious burn injuries while burning an effigy of Narendra Modi, in December 2015.